The Great Glen Way is Scotland's newest long distance footpath, following in the footsteps of the Southern Upland Way, West Highland Way and Speyside Way. At 73 miles/117km in length, it stretches through the Great Glen from Fort William to Inverness and, combined with the West Highland Way, which terminates in Fort William, offers particularly fit walkers the opportunity to hike through from Glasgow to the Highland capital. The Great Glen Way starts at the Old Fort in Fort William, under the shadow of Ben Nevis, and heads north to join the Caledonian Canal at Corpach, just outside Fort William. The well-graded towpath rises alongside Neptune's Staircase and is followed to Gairlochy. The next section of the way takes advantage of forest tracks on the heavily wooded western side of Loch Lochy before it rejoins the canal towpath at Laggan Locks. The way continues into Laggan Avenue, a canalside path passing through tall trees established by Thomas Telford, the engineer who created the Caledonian Canal. This leads to Laggan swing bridge where the A82 is crossed and the way then heads north-east along the eastern shores of Loch Oich. The old Fort Augustus branch railway line, which closed to traffic in the 1940s, is followed initially before the route switches on to a section of General Wade's military road. 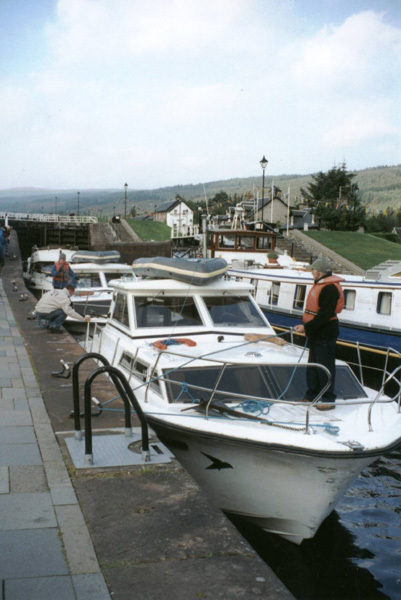 At Aberchalder swing bridge, the towpath is picked up once again for the walk into Fort Augustus, passing the Kytra and Cullochy Locks en route. From Fort Augustus the first real climb of the way is encountered as the route rises above Loch Ness, following forest tracks over to Invermoriston. There's another climb out of the village and the route uses well established forest tracks to reach the crofting community of Grotaig. 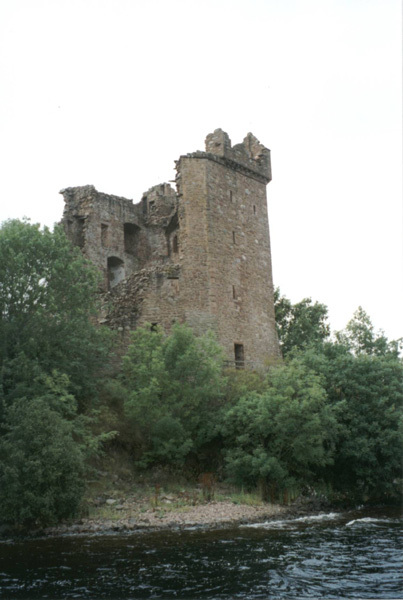 A short section of road followed by a woodland path takes way hikers to Drumnadrochit where visitor attractions include the Loch Ness Monster Visitor Centre and Urquhart Castle. The long distance path leaves the village through woodland, climbing over a short section of rugged open moorland to reach Abriachan, another upland crofting community. A quiet stretch of minor road leads to Blackfold where the way enters Craig Leach forest. When it emerges from the trees, views open out over the final destination - Inverness. Canal and riverside paths lead through the city to Inverness Castle, and the end of the way. 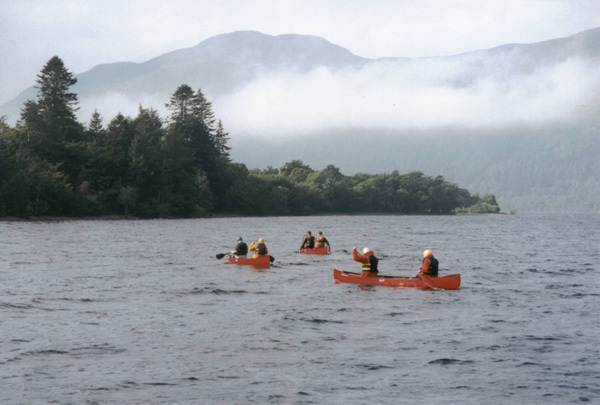 The Great Glen Way cost around �500,000. This was funded by grants from the European Regional Development Fund, Scottish Natural Heritage, Inverness & Nairn Enterprise, Lochaber Enterprise and Highland Council. Support in kind came from Forest Enterprise and British Waterways. Maps OS Landranger sheets 26, 34 and 41. Start Old Fort, Fort William. Auchterawe, Fort Augustus PH32 4BT. Tel/fax 01320 366633. The Great Glen Way was officially opened on April 30, 2002, by Prince Andrew.p>Guidebook The Great Glen Way by Jacquetta Megarry (Rucksack Readers). Click here for review. Map Harvey's Great Glen Way. Click here for review. Information in this article was taken from the official Great Glen Way website.